Moving houses is a stressful time for all involved. A new house can indicate a series of major life changes and change can be scary, especially for children. For kids, moving houses for the first time not only means losing their childhood bedroom and place of refuge, but it can also mean a new kinder or school, a new neighbourhood and new friends. Here are five tips to help ease you children into the process of moving houses, and take the stress out of your next move. The importance of discussing a big move with the whole family cannot be underestimated. Take the time to sit down together and talk about the move. Make sure that everyone is aware of what’s happening, why you are moving, when you plan to move, and where you plan to move to. Discuss what the kids can expect of the move – from packing and unpacking to the lengthy process that can be organising the new house. Talking about everything in one sitting could be an overload for younger kids, so consider making regular times to discuss important matters with them. Honest, open communication will give your children an understanding of what they can expect to happen and it will take the surprise out of it, making it far less scary for them. The key to helping kids feel comfortable moving houses is ensuring that the feel included and important and the best way to do this is to give them a say in making decisions. 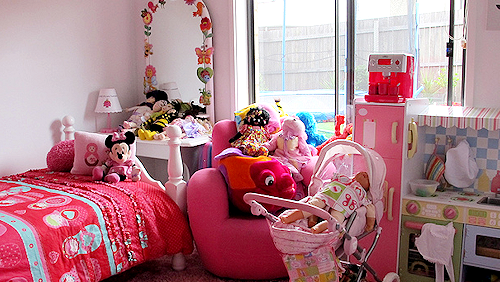 You might consider letting them choose their own bedroom, or letting them choose how they would like their furniture set out, or how they would like to decorate it – make it a positive experience. Encourage them to express their feelings about the move, and to state any anxieties they have with you, so that you are able to reassure them and help them to feel comfortable. A great way to help your child adjust to moving houses is to involve them in the physical process. If you can, take them to explore their new home before the day of the move so that they may get a head start on familiarising themselves with their new home. Get them to help pack their own belongings. For younger children, there can often be some confusing in what will happen to their own personal items – which can cause a lot of stress. Get you kids to help you organise their things into boxes, and let them label them themselves and write their own name on it. Explain to them that on the day of the move, their boxes will be placed into a truck with the rest of the family’s boxes, and the truck will deliver them to the new house for them to unpack and put away in their new bedroom. The day of the move is likely to be a stressful one, so make sure you plan it carefully. If you have younger children, consider leaving them in the care of family or hiring a baby sitter for the day. If you are hiring removalists, this will help them move through your home quickly without worrying about tripping over or hurting an inquisitive child. For older children, it can be beneficial for them to be there on the day – as being away from home and not knowing exactly what’s going on can cause some worry. Unpacking in a new home can take a lot of time, so to help your child feel more comfortable faster, a good idea can be to pack a separate box of your child’s favourite personal items – toys, teddy bears, anything your child has a particular emotional attachment too that can bring some familiarity and comfort in a stressful time. Before you move into your new home, take the time to research the child-friendly perks of the area. Look out for any local playgrounds, parks or sporting clubs that your child might take an interest in. After moving in to a new suburb, kids may begin to miss their old neighbourhood. The best way to battle this is to show them that the new neighbourhood has lots of fun things to do as well. 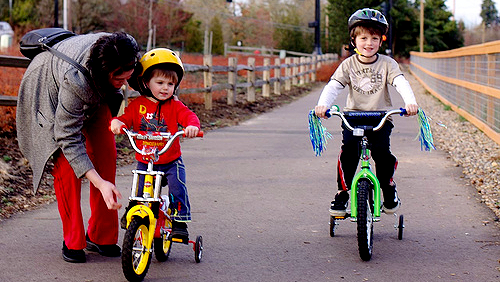 Explore your new surroundings with your kids – make it fun! Great article Peter, It highlights a factor that a lot of families face while moving home. Thanks for your feedback Richard. Moving can be so stressful for adults but i’m not sure we can all say with hand-on-heart that we realise the massive impact on our children as well. Kids, especially young children, are very attached to their comfort zones and moving house takes them out of their comfort zone in a big way. Keeping familiar items around will help them cope with all the newness and make the transition much easier.